It was in the 19th century that the piano rose to prominence as a concert instrument. Only in the 20th, with the invention of the gramophone, was it possible to record the instrument and its interpreters. Since then the wealth of recordings has become almost an embarrassment of riches. Selecting the greatest of these has been both a labour of love and, inevitably, a struggle of conscience. 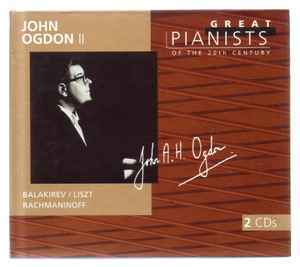 However, we believe that this edition, made in co-operation with many of the world's leading classical music companies, captures the best of recorded pianism. Philips Classics is privileged to offer the present edition both as a monument to the 20th century and as an inspiration for the next millennium.